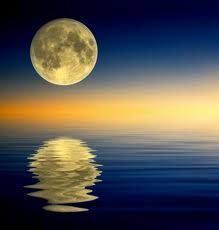 Our annual Guru Purnima celebration (full moon in July) will be held on Saturday 12th July at 8pm at the Lotus Meditation Centre in Coogee. Guru Purnima traditionally honours the Vedic Masters who brought to light the Vedic knowledge we all enjoy today. I will perform “Puja” - the ceremony of gratitude that you witnessed when you learnt to meditate. It is part of the mythos of Guru Purnima that a boon is granted in response to a wish offered with one’s flower at the culmination of the Puja. It will be an evening of stories, eating of rich sweets together, taking in a moonlit stroll, and enjoying the great good fortune of being a meditator at the dawn of the age of enlightenment. Come along to the Lotus Meditation Centre and enjoy an evening of camaraderie with other meditators, to be together, eat together, and enjoy the richness of meditating life together. This is a free event. To reserve a spot, you will need to RSVP by Thursday 10th July by emailing Lauren Godfrey at: info@lotusmeditationcentre.com. You will receive a reply with address details.